The Vision Zero Coalition wants to make sure Denver Public Works doesn’t water down the walking and biking improvements planned for Washington Street in Globeville, which will be reconstructed as part of the bond package voters approved in November. The goal is to make Washington a walkable, bikeable “Main Street” as it becomes less of an industrial zone and more of a commercial thoroughfare with more transit. On the 0.6 miles of Washington between 47th and 52nd avenues, the project calls for adding parking lanes and “multimodal sidewalks” that pedestrians and cyclists would share. To include all of those elements, DPW will have to buy right-of-way from private land owners. Advocates don’t want the city to sacrifice the quality of walking and biking infrastructure as the project advances. It wouldn’t be the first time City Hall has promised one thing and delivered something a lot worse. Much of the Stout Street bike lane, for example, was downgraded from a protected bike lane to a buffered bike lane in between design and implementation. The reconstruction of this segment of Washington will cost $23 million, in part because the city has to buy right-of-way. The study portion of the project is over, but DPW engineers are still working on the design, for which there will be a public process. The Vision Zero Coalition, which includes neighborhood organizations and citywide advocates, wants to ensure that the final project meets a “high standard of safety and comfort” for pedestrians and cyclists. 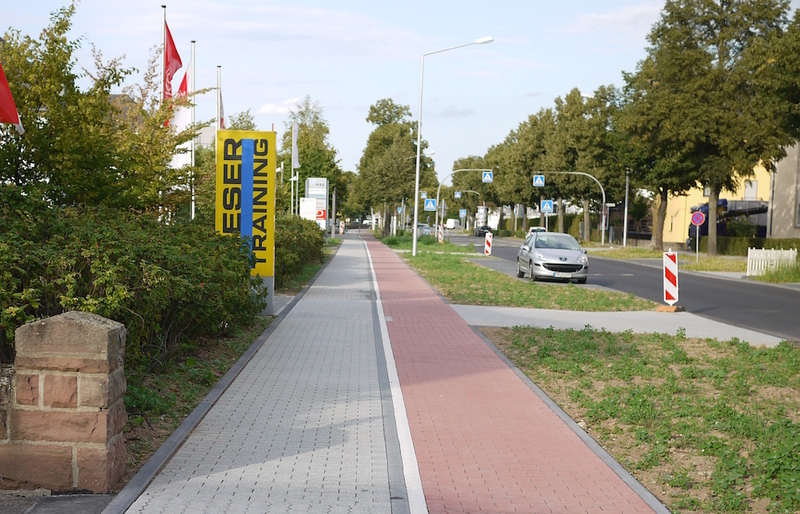 A minimum width of six feet for the bike paths and six feet for the walking paths on each side of the street. Clearly delineating the walking space from the biking space with colored markings or concrete (like a brighter version of the Bannock Street sidewalk/bike lane in front of the City and County building). Marked crossings for both pedestrians and bicyclists at every intersection, with an automatic crossing phase for pedestrians and bicyclists at crossings with traffic signals. Sidewalk expansions at intersections to shorten crossings, reduce the speed of turning drivers, and provide space for people to board buses. The Coalition also requested (but did not insist on) lowering the 35 mph speed limit, raised crosswalks at intersections near I-70 ramps, protected intersections, and better bus stops with shelters, seating, lighting and trash cans. An earlier version of this article incorrectly stated that the public process was over. Trammell Crow Co. will add nearly 1 million square feet of industrial space to the market when its Crossroads Commerce Park in Denver’s Globeville neighborhood is complete. Nothing wrong with adding “multimodal sidewalks” but this area looks to me to remain a substantially industrial area and that’s not a bad thing if you realize the value to Denver for such facilities.